Tom’s song “Tide of Love” is featured in this season of ABC drama “The Rookie.” Episode 8. The new record was produced by Tom and mastered by Grammy winner Brian Lucey (The Black Keys, The Shins, The Arctic Monkeys, Beck, The Arcs). It was recorded mostly in Williamsburg, Brooklyn, NY, with a few bits done in Ireland and Vermont. Mixed by Tom and Taj Campman. Engineered by Tom, Fen Ikner, Dave Stoller, John Syzmanski. In 2011 the critically acclaimed EP “Get Real or Get Gone” was released and and 2012 brought “ghost songs, waltzes and rock & roll,” a heralded full length. 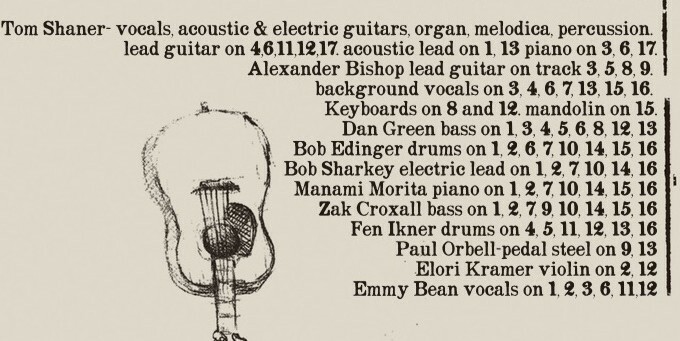 Those records were Co-Produced by Tom and Charles Newman (Magnetic Fields, Stephin Merritt). 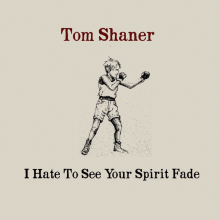 “ ‘I Hate to See Your Spirit Fade’ continues and deepens the world of songs I staked out on “ghost songs…” You will hear rockers, ballads, waltzes and cinematic story songs. I have heard myself described many different ways. Some have said ‘he is somewhere between Leonard Cohen and Radiohead.’ One person wrote my stuff is ‘somewhere between the realms of Nick Cave and Tom Waits. Yet, he performs with a true unpretentious earnestness akin to classic Simon & Garfunkel,’ among other comparisons. But the title of my last release ‘ghost songs, waltzes and rock & roll’ still describes where my music is at, but that could change. One thing is for sure, my music roots feel real to me. Informed by American acoustic and electric blues, Sun Records, the British Invasion, great American songwriters, to Punk, New Wave to hip hop to indie rock, films, writers, art, comedy, travelling, not travelling, food, animals, many other musical catagories. The experience of being alive and where a day can take you…and so much more. I could go on. I won’t. The sound on ‘I Hate to See Your Spirit Fade,’ sometimes sparse, sometimes rich, always with great, soulful playing by all musicians, my friends. I’m lucky to know them. There are stripped down ballads contrasting with rhythmically swampy story songs. You will hear a couple of duets with my pal Emmy Bean. “True Love is Hard Work” and ‘New Rebel Girl.’ The latter is a tribute to Malala Yousafzi. And though I have played all around the U.S.A. and done a lot of shows in Ireland, (where I met my lovely wife while performing in Cork in 2007), I am, in the end, a New York City songwriter. What does that mean? Well, aside from my own musical tastes and inclinations, and the music of my friends, to live and write in New York City you may have secret influences seeping in. Inluences you are not aware of, drifting in from the vibrant and colorful melting pot of this city. My music can be heard in various films and TV shows. Currently, I am at work directing and editing several videos for songs on the album. With my buddy, director of photgraphy Sam Henriques, we aim to put as much into the videos as the music. “Tide of Love” is featured in ABC show “The Rookie”. Episode 8. THURS MARCH 16th LIC BAR Van Morrison Tribute! Highly Recommend! THIS THURS March 16th LIC BAR Van Morrison Tribute 9 pm!